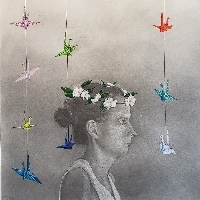 Born in Singapore, Joanne spent much of her childhood in Singapore, Japan and Thailand drawing and painting alongside her mother, a professional printmaker. 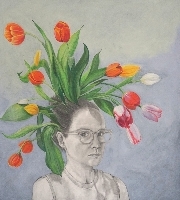 Joanne earned her degree in Fine Art from George Washington University with a concentration in drawing, where recognition of her work included the Robert N. Alfandre Award for Drawing. Today, Joanne lives in New York City with her husband and two children. 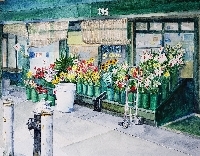 She shows her work in galleries throughout New York. In addition to creating her work she teaches a series of art workshops and after school art classes to elementary school aged children. Joanne Agabs is an artist/illustrator working in various visual arts media. Her current exploration her story based on looking inward and then outward. 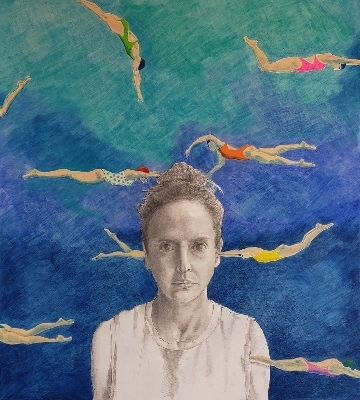 First is a series of self-portraits looking inward, examining her identity and emotions. 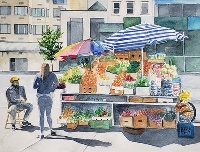 In tandem with this theme Joanne is looking outward and creating a series about her environment using watercolor and drawing to depict her home, New York City, and small daily-life observations taking the form of still-life colored pencil drawings. All of these current series evoke emotion and thought surrounding the artist's current sentiments, experiences and place in time.